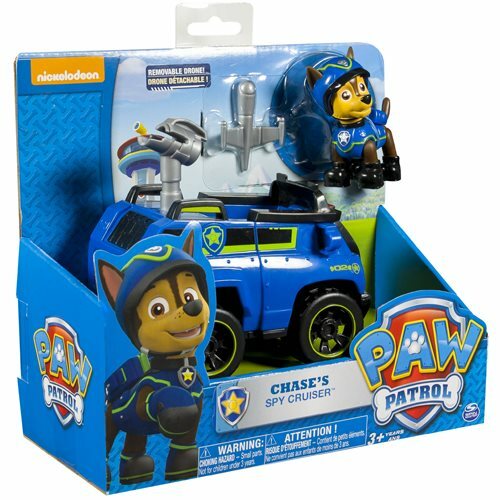 Act out rescue scenes with the Paw Patrol Basic Vehicle Spy Truck with Chase and the entire line of Paw Patrol vehicles (each sold separately)! Your child's imagination will light up with pup-inspired rescue missions full of friendship, teamwork, and bravery. Choose from Chase, Marshall, Zuma, Skye, and Rocky, each with their own unique transformation. If danger is near, just give a yelp and the Paw Patrol is there to help! No job is too big; no pup too small. Race to the ruff-ruff rescue with spy Chase, and collect them all! Ages 3 and up.